It's one thing to start a business to change the world and help others, like a non-profit or charity, such as Barbara Bush's Global Health Corps or charity: water. These are both fine examples of non-profits carefully designed to ease the suffering of others. But, it's quite another thing entirely to start a sustainable, for-profit business that helps others by being profitable and continually growing in its scope and magnitude to help disadvantaged people. As Margaret Mead famously and passionately said, "Never doubt that a small group of thoughtful, committed citizens can change the world; indeed, it's the only thing that ever has." I get that, I really do. And at the same time, is there another integrated way to create an entrepreneurial business that is self-funding through commerce and helping those in need? We've seen the powerful story of what I will call the "charitable entrepreneur" Blake Mycoskie and Toms Shoes, where every consumer purchase of Tom's simple shoes results in a pair being put on the feet of a needy person in a third-world country. Besides being good karma, the "buy one, give one" strategy is fantastic Marketing because your customers feel involved and like they're helping others when buying a simple staple such as shoes which not coincidentally, are completely absent in some of the places Mycoskie traveled to when percolating Toms Shoes. The brilliance of Mycoskie lies in his ability to see that shoes are a consumer product in regular need in affluent consumer markets but also in short supply in poverty-stricken countries--and finally, to recognize the need to combine that basic human need with consumer opportunity ... crossing Zappos with charity: water if you will. It was with all these competing and interacting dynamics in mind, that I first met Robert McLaughlin. This man has a fascinating and uplifting story which I will strive to tell responsibly. And this story has two key takeaways for HuffPo readers: a 'charitable entrepreneurship' aspect and a 'green/environmental' focus as well. 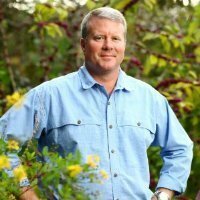 McLaughlin is the CEO of Organic Bouquet, a "mission-based floral company focusing on environmental, social and economic sustainability." That's what McLaughlin is today. However, what McLaughlin was previously is what interests me initially. Back in the day, McLaughlin was working as a laborer restocking sheds and greenhouses in Florida and also a truck driver driving potted plants to the Winn-Dixie supermarket chain. It was in these jobs that McLaughlin was "continuously exposed to some of the nastiest agro-chemicals that existed at the time." Seeing his head agronomist die at an early age from toxic chemical exposure, really drove home the dangers to McLaughlin. The perils of toxic chemicals in his business and what he could do about them would remain with Robert McLaughlin well into the future and current stewardship as company CEO. As McLaughlin learned and worked in the floral industry, he soaked up as much knowledge as he could. Bootstrapping himself from laborer and truck driver, he rose quickly into the office and sales infrastructure of his employers, educating himself in the entire supply and distribution chains. He obviously liked this business as his enthusiasm and excitement shows through to this day. Even as CEO, McLaughlin gives the strong vibe he wouldn't hesitate for an instant to jump in a delivery truck and get his product to a customer. When a Winn-Dixie buyer told him the store needed cut flowers too, a seed was planted (forgive the lousy pun). Now, the floral industry is a $20 billion market and what a laborer and driver was doing thinking about starting his own business, I cannot imagine but it is certainly that hard-to-define much less stimulate, entrepreneurial spark which pushed McLaughlin in this direction. I wish it could be bottled. An Army brat growing up, McLaughlin eventually landed in Orlando, Florida but grew accustomed to traveling and meeting new people, a lifestyle and skill that would come in handy later on. 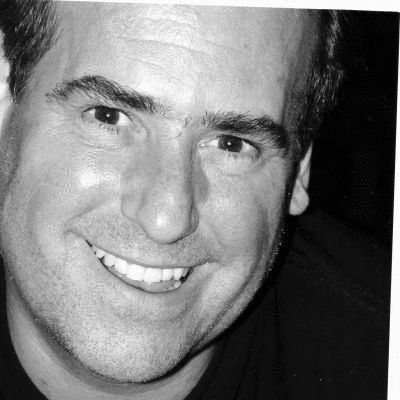 McLaughlin spent the next 20 years experiencing first-hand every niche and channel of his industry from field to truck to salesman to store merchandiser and finally business owner. This guy literally rolled up his sleeves (or, rolled them down as appropriate) and got the job done. So our entrepreneurial hero had experienced both the market need: for cut flowers; and the environmental problem: chemicals were harming and in some cases, killing workers in this business. But as luck would have it, he would not start another business of his own but turnaround another previously existing business. "In 2007," McLaughlin recalled, "a former business partner of mine got in touch wanting to bring me on to head up operations for this company called Organic Bouquet. The company had just failed in an IPO on LSE (London Stock Exchange) and was losing quite a bit of money because the management were not floral industry professionals but outside investors trying their hand in this business." My two-word assessment of that situation: Not Good. Clearly McLaughlin had his work cut out for him. But before we get deep into how he found 'a way out of no way,' we must look at how McLaughlin had prepared himself prior to this big opportunity. In the early-1990's, McLaughlin began to work with the social aspects of small farms in Ecuador; getting to understand the 'hows and whys' of 'corporate social responsibility.' 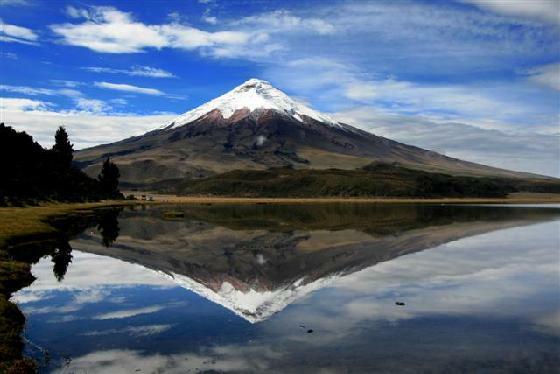 Why Ecuador? Because tiny Ecuador (along with Colombia) are market-dominant forces in the floral industry providing over 70 percent of the flowers worldwide. In 1988, McLaughlin visited Bogata on a flower fact-finding mission. Given the timing, he found a lot more facts than he figured. "On my first visit to Colombia, it was the world of machine guns and Pablo Escobar," McLaughlin recalled dangerously, "but I was a young guy and loved it." "Flowers are a tough business," McLaughlin told me, not missing the oxymoron in those words signaled by his laugh, "if you buy too many, they die. If you buy too many, you have to reduce prices, then everybody has to reduce prices." I grimaced at the hopelessness of that business equation but quickly realized that if ever a form of 'just-in-time' supply chain thinking might help, it was here, in this market. The floral market McLaughlin tells me "is manly centered in Miami, Florida and California with 80 percent of the flowers imported from South America. About 60 percent of all US flowers are sold by retailers and there are approximately 40 percent gross profit margins for online flower sales. Increasingly, American consumers want to know that their products are grown in a responsible manner and that people are being paid fairly for that product. It used to be that we were priced 20 percent higher than 1-800-Flowers or ProFlowers but that's not true anymore. Where those two clearly out-compete us is on their Fed-X costs and incredible brand spending." As a timely part of his industry education, McLaughlin came across a small, rural farm in Ecuador that had against all odds created a 401K for their workers--I cannot fathom how much that would mean for workers who make $9 per hard day's work. McLaughlin recalled, "I had a friend from Washington, DC, Ramiro Penaherrera who was Ecuadorean and who owned quite a large farm. He had about 600 workers and the workers were approached on a daily basis by lenders preying on them by offering all kinds of staples like pots, pans, clothing and consumer goods but at an egregious 80 percent interest rate. So my friend set-up a savings plan for the workers with matching contributions by the company." Wow, I don't know about you but I am moved by this. But as there frequently is to this kind of commercial thoughtfulness, there's a rub. "You can't disrupt a fragile economy," McLaughlin warned, "you can't pay the wife of a man making $2,400 per year, $18,000 per year." Good point. Over the intervening years, McLaughlin got busy. "Today," he began, "Organic Bouquet offers a 'turnkey solution' in exchange for certified sustainable and organic products; we help farmers convert their land to produce and export crops across the globe, so they can effectively and self-sufficiently run their own businesses." 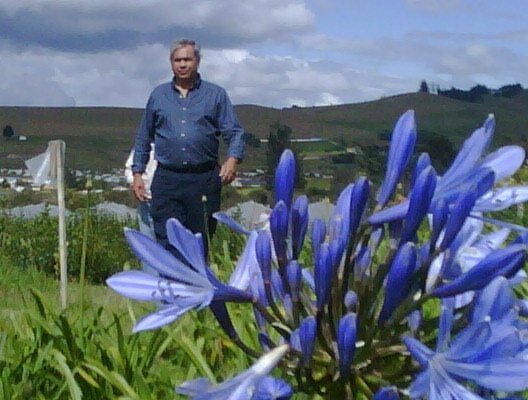 Amen brother, I've never met a small business that didn't have a sales & distribution problem, so Organic Bouquet's offering the global distribution to a small farm in Ecuador is a real game-changer for them. 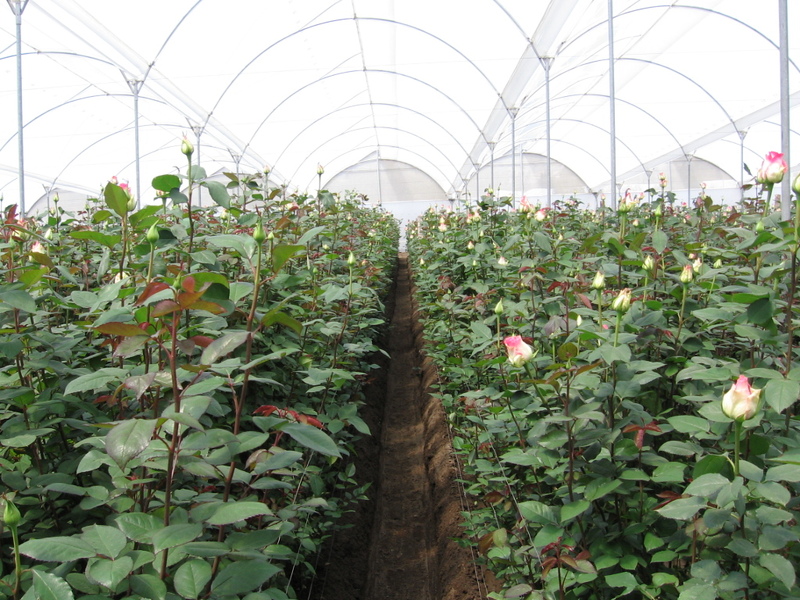 On one of "the most eco-certified, fair-trade rose farms in the world," this greenhouse is located in Ecuador near the snow-capped volcano Cotopoxi. McLaughlin and his company also provide low and no-interest loans--literally 'seed money'--as well as educational supplies, packaging materials and facilities, trucking systems. organic and sustainable certifications, sales and export permits, community support, international marketing services, medical insurance, daycare and more. McLaughlin and Organic Bouquet are much, much more than just a customer buying flowers from these farms but a true partner in growth. And that growth acts like a positive cyclone for all the businesses involved: from supplier to vendor to client to end-customer. Most importantly, the local families and community at large grow and improve from McLaughlin's kind of caring commerce. The reason the "Organic" part of his company's name is so crucial is both neat and complicated. McLaughlin firmly believes--because he's seen it with his own eyes and it's undeniably true--that all plants, flowers, fruits, vegetables, and livestock were grown and raised for millenia without all the toxic chemicals. pesticides and growth hormones associated with the things in our shopping baskets today. It is only in the last century that we've thought ourselves smarter than the environment. According to McLaughlin, "Millions of acres of land have either been polluted or destroyed and this phasing out of synthetic chemicals and return to natural methods is proving that synthetic chemicals have been a brief but damaging fad that hopefully will never return." Trying to get DuPont, Dow and others onboard will be difficult, to say the least. But in spite of the forces of the gigantic, monolithic agro-chemical industrial complex against McLaughlin, he's made significant progress ("Never doubt ... "). Nobody knows this better than German Gutierrez. McLaughlin recounted, "In a small farming village outside of Bogota there was an unusual amount of undiagnosed children with specials needs. The Gutierrez family paid to have a doctor come from Bogota to look at a few children. They were diagnosed with Autism. It's not directly known that the chemicals used on vegetable farms in the town are the cause but worker protection in the produce grown for local consumption are minimal. The Gutierrez family started a foundation and dedicated part of their farm to build a treatment facility. Once a week local low-income families from the surrounding areas can bring their autistic children to the foundation for therapy, for treatment by doctors and for diagnosis. They do physical therapy, arts and crafts, horseback-riding and have special musical concerts all as part of the therapy to stimulate the senses." When I asked German Gutierrez about how he and McLaughlin first met, he said, "Long time ago, by 1994, I was working as a sales manager for a Colombian flower company. Then, at a flower show, I meet Robert and we began working together toward the development of mass market sales, me working as a flower supplier and Robert dealing directly with the supermarkets." 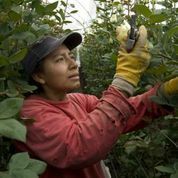 "First of all, the importance of working with farms that are growing organic and/or certified flowers," Gutierrez continued, "it's a great and positive impact for the workers as well as for the environment. The use of pesticides and agro-chemicals are minimized." "It's is also important to see the development of new 'eco-friendly' practices to replace agro-chemicals and pesticides," the Organic Bouquet' partner told me. "This approach not only reduces costs but also allows the farmers to use, in the majority of the cases recycling farm products that otherwise were never used. This is the case of the compost made from all the 'leftovers' after the grading of the flowers (leaves, not export quality flowers, stems and so on) that after a storage process including worms and other natural elements, are incorporated back into the soil, reducing fertilization costs, improving soil structure and reducing the amount of water needed." "Lastly, through working with Organic Bouquet, I was able to realize the importance of giving back to the flower workers and their community some of the benefits of working/selling organic and certified flowers through different cause programs." A- Being able to provide better living conditions to poor people that never had access before in the traditional agriculture. As growing flowers is a labor intensive process, on average, 12 workers per hectare are required and mostly women, through the flower industry, women were able for the first time to work in a steady way and to bring additional income to their homes, reducing poverty and improving social security not only in the countryside, but also in the surrounding areas of the big cities. B- As the majority of the flower farms provides to the workers door-to-door transportation from their homes to the farms, almost free meals, day care facilities for their children, medical assistance, besides the fulfillment of all the government social programs, it's very satisfying to see how the flower workers and their families improves their living conditions. C- The flower industry provides not only direct employment but also indirect one. There is a lot of indirect employment generated by industries that provides several goods used mainly for the flower industry. Items like greenhouses, plant materials, workers protection and safety supplies, irrigation systems, among several other inputs. These things provide indirect employment in large amounts. McLaughlin summarized, "German and I have been friends for 20 years working together and I never go to Bogota without visiting him and his family. We support German's farm and foundation by contracting him to manage our farm relationships in Colombia and Ecuador. We've invested in his farm to help convert it to organic production and 10 percent of the proceeds from products sold on the farm go back into the foundation they created." As a barometer of distance gone for McLaughlin, he now owns 70 percent of Organic Bouquet and the company has strategic relationships with both Kathy Ireland and Anne Geddes. 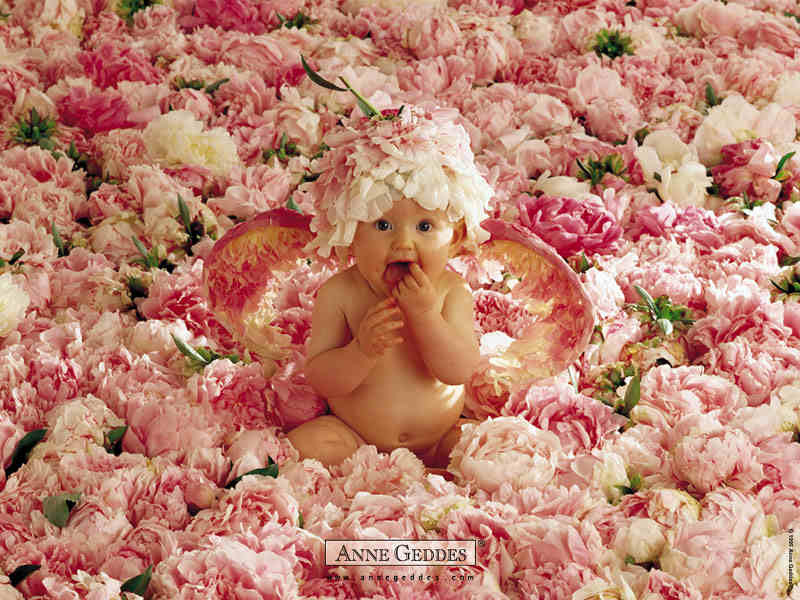 According to Anne Geddes, flowers, babies and causes are closely aligned for her. Why does she have this association and connection to babies and flowers? "I've always been fascinated by elements of nature, and in particular an admiration for flowers, which aside from babies are my favorite things to photograph. Their purity, color, lines and form constantly inspire me. In fact I often see parallels between the miracles of nature and newborn babies as they are both inextricably linked in a wondrous cycle that we so frequently take for granted. As the great American philosopher Ralph Waldo Emerson said, 'Nature is loved by what is best in us.' They will always be a part of my work." 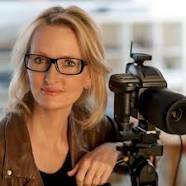 Why is it important to her to connect her work with charity and philanthropic efforts? "Since the release of my first calendar in 1992, it's always been an integral part of my work to give back. Little children don't have a voice, or any control over their own lives, which makes them vulnerable. Through my work I've been lucky to join forces with some amazing campaigns in the hopes of raising awareness and funds for issues affecting children worldwide. I'm honoured to be the Global Advocate for the United Nation's Foundation Shot@Life campaign which helps to get vital vaccines to the developing world and in a similar vein, I'm also working on a photographic series called 'Protecting Our Tomorrows: Portraits of Meningococcal Disease photographing survivors to raise awareness, and of the steps to take, including being up to date with vaccinations, to ensure that we can eradicate this this terrible disease. In November I was also proud to lend my imagery to the March of Dimes campaign, a cause that is very close to my heart." Kathy Ireland is one fascinating Supermodel/'Busy Mom'/Entrepreneur/Mogul. Her kathy ireland Worldwide (kiWW) is a licensing empire which exceeds Martha Stewart's in revenue, cash flow and profits (Ireland' net worth versus Stewart' net worth). Ireland has quietly but inexorably built an empire. I must confess: I've always had a thing for her and her 'girl next door' beauty. I don't think I'm alone. Ireland works with the Sustainable Furnishings Council to ensure the products that bear her name are socially responsible and apparently, her environmental interests were born into her genetically. "My Dad worked with Cesar Chavez," Ireland said proudly, "as we'd drive by farms in Oxnard and Camarillo (CA), he used to point and say to me, 'Look at the workers' backs!' The workers were given short hoes because those get more weeds but it was destroying their backs from bending over. They also didn't have any outhouses, so no dignity. My father worked with Cesar to get them longer hoes and better bathroom facilities." So I can now see the integration of a 'green' floral strategy into Ireland's diverse furnishings business; an alliance with McLaughlin and Organic Bouquet provides the ideal--and socially responsible--finishing touches to her customers' interior decorating. Ireland, who shared with me glowing experiences working with mentors Elizabeth Taylor ("she opened my eyes") and Warren Buffett ("what an inspiration") said, "Partnering with Robert and Organic Bouquet has been great. In my business career, I've walked away from millions of dollars because partners wouldn't comply with my need for sustainability and environmental concerns. People really are more important than profits. There were bigger partners than Organic Bouquet for us out there but the thing I appreciate about Robert is how much he cares about the people who supply his product." So where has all this hard work and caring for the environment and people gotten McLaughlin and Organic Bouquet? "We have about 20 employees now, McLaughlin stated, "and we've grown the company 178 percent since 2011 and expect another 60 percent increase sales growth in 2014 over 2013." McLaughlin has completed an amazing turnaround of Organic Bouquet and I would imagine, is feeling quite satisfied. Though, no entrepreneur's work is ever really done; there's always another mountain to climb or better mousetrap to build. Further on up the road from delivering potted plants to Winn-Dixie, Robert McLaughlin can now feel proud that he's not only done it his way but also had a positive impact on the floral industry and real people on the farms of Central and South America. And that's to be admired.